Who is he? Who is she? 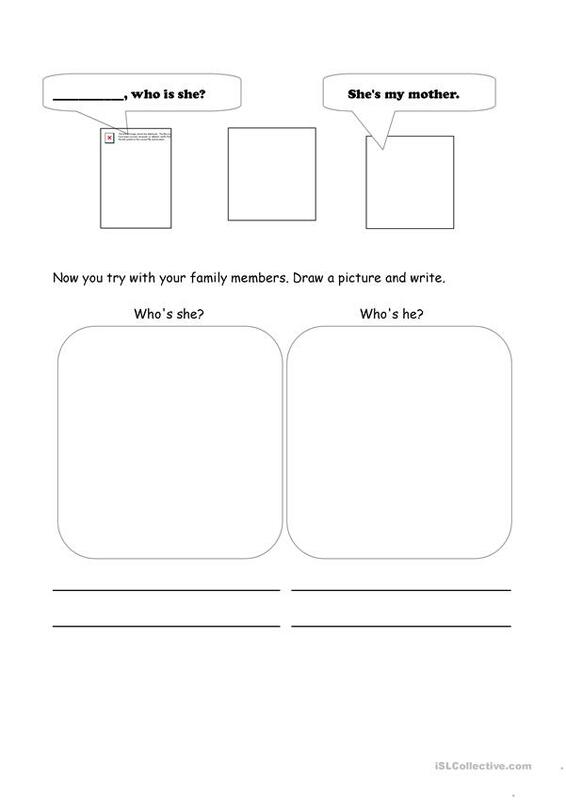 A short two page activity to practice family member vocabulary and ask and answer who is she/he? I used photos of teachers and my family members for the blank spaces. 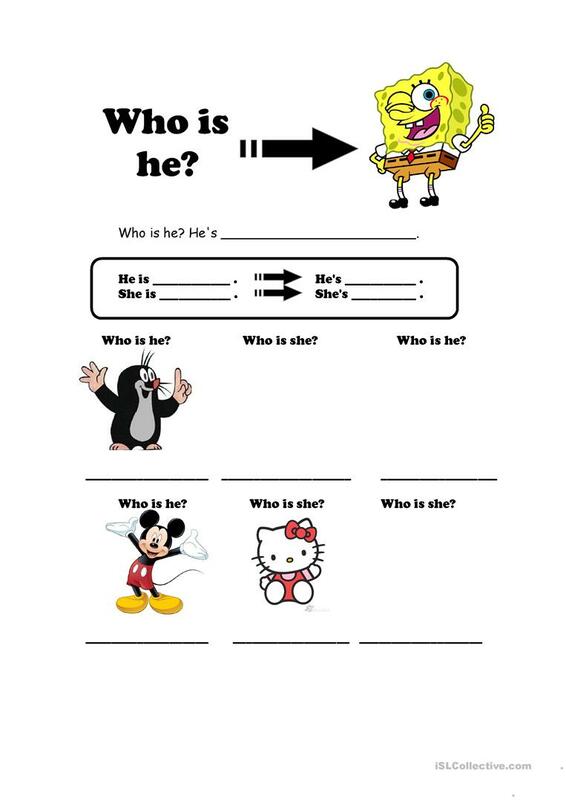 The above downloadable handout was created for kindergartners and nursery school students and adults at Beginner (pre-A1) and Elementary (A1) level. It is valuable for consolidating Present simple tense in English, and is useful for honing your pupils' Listening, Spelling, Speaking, Reading and Writing skills. It features the topic and words of Family.